I am happy to travel to do clinics in other areas. Please give me a call if you would like to organise one in your area. DATES : Now being held 1 - 2 times monthly. Call or email Debbie to check dates and book a place. DATES : Small clinics being held most saturdays. Call or email Katy for details or to book. "When I first met Debbie I couldn't ride. Sure, I THOUGHT I could ride... After all I'd been having lessons for over 30 years! 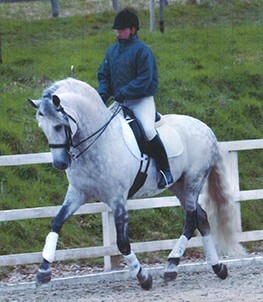 I could walk, trot, canter... Even gallop and pop a few poles. 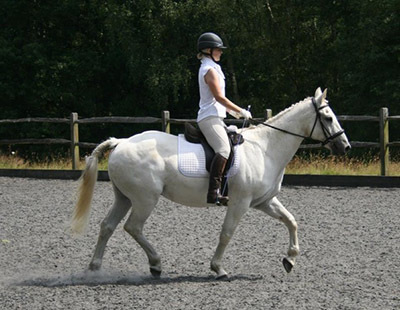 But I had no clue HOW to ride in an outline (for want of a better expression), or how to teach a horse how to engage his whole body, or how to organise my own body to make it so much easier for the horse. 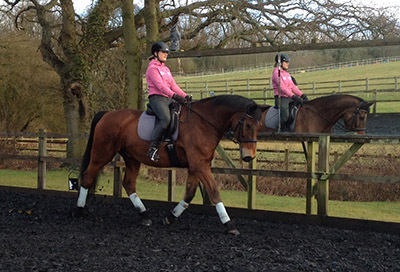 After training with Debbie for just the last 3-4 months the shutters are beginning to open, and after each lesson I come away beaming having glimpsed yet another way forward to my goal of riding in harmony and LIGHTNESS with my horse. 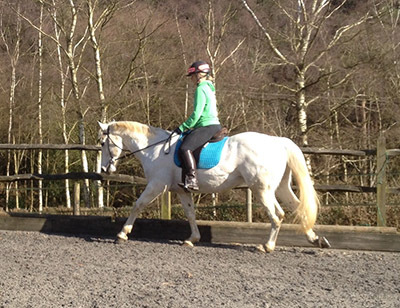 Debbie is encouraging, inspiring, extremely perceptive, is always kind to the horse. She has a very good eye for correcting the rider's seat aids and reins and always has a solution to the difficulties that my riding throws up. 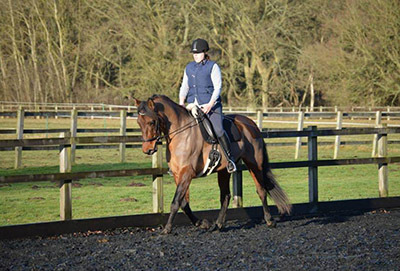 She has boosted my confidence hugely, enabling me to ride more safely and effectively. I can't wait for my next lesson!"